HOW TO DO-IT-YOURSELF. PLEASE CLICK ON ANY OF THE UNDERLINED LINKS for more information or to e-mail. Items with ** will not work on most Web-TVs. 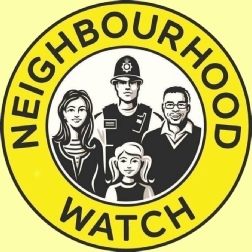 WELCOME to the new SELSEY NEIGHBOURHOOD WATCH DO–IT-YOURSELF web page. Almost everything you need to know or do, to either start a new NW scheme or maintain an existing scheme, will be answered by following the links on this page. PLEASE TAKE THE TIME TO EXPLORE THESE POSSIBILITIES. Please start by reading the red print in the box below. If you cannot find what you are after scroll this page down and contact one of the Contacts below. To check crime level in Selsey see http://www.police.uk/sussex/WC2NH14/ Selsey is a low crime area. C R A C K D O W N on bad and dangerous driving. We are determined to reduce the bad and often dangerous driving along some of our busier roads and would encourage all witnesses of speeding cars and cars being driven by drivers while using mobile phones or under the influence of drink or drugs to use OPERATION CRACKDOWN.